Ford is planning to reveal the new Ranger Raptor in Bangkok, Thailand, on February 7th. Then we'll know if it'll have a 2.7L EcoBoost V-6 or even the 3.5L EcoBoost V-6. 450hp sounds like it'll make for an appealing Ranger. 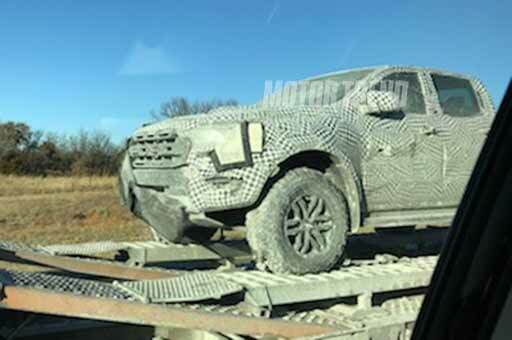 Seen spy shots of the Ranger Raptor and so far it seems the picture below could very well reflect what the north american version will look like compared to all other ranger pictures out here. Ranger Raptor spotted on a flatbed in the States! I assume it'll be sold in the U.S. if Ford is testing the pickup there. You can tell that it's a Raptor with Ford spelled in the front where the camouflage has fallen off. 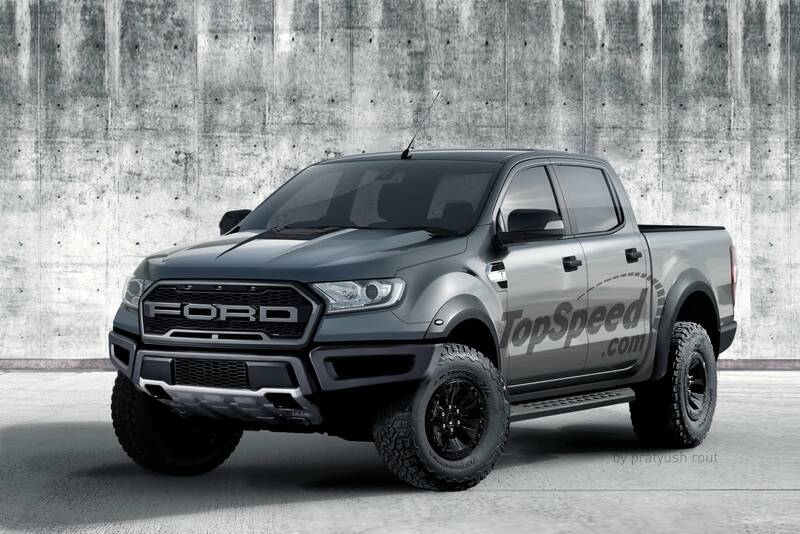 This is a rendering of what some believe the new Ranger Raptor will look like. Thoughts? I know quite a few people are disappointed that the new generation of Ranger is so much larger than the originals, as most were hoping for the return of a "small" pickup. I don't see those waiting around for a Raptor variant complaining however aha. I was expecting to see an EcoBoost engine in the Raptor Ranger simply because of the badge that model is associated with, kind of a let down to find out that is not the case. The engine isn't even that important anyways, there's far more to be worried about with how it functions off road that has to do with the suspension and chassis than the type of engine. I'm just happy that we get enough power from the 2.0-litre twin-turbo diesel. However in the future we could be seeing a more powerful 3.2-litre five-cylinder or 3.5-litre twin-turbo V6 petrol. I have a feeling you'll still see the Ecoboost motor in the Raptor, if and when it gets confirmed for North America. It's likely that Ford will have to offer different powertrains between regions as they will have different regulations in terms of emissions and regulations. Wont be interested in the Raptor if its only coming with that 200hp diesel. Power may not be everything, but the Raptor is expected to be the full package standing above every other trim for the model. On top of suspension and chassis and upgrades, there should be a performance engine offered as well. If you're going to spend so much on a pickup, why not go for the best?